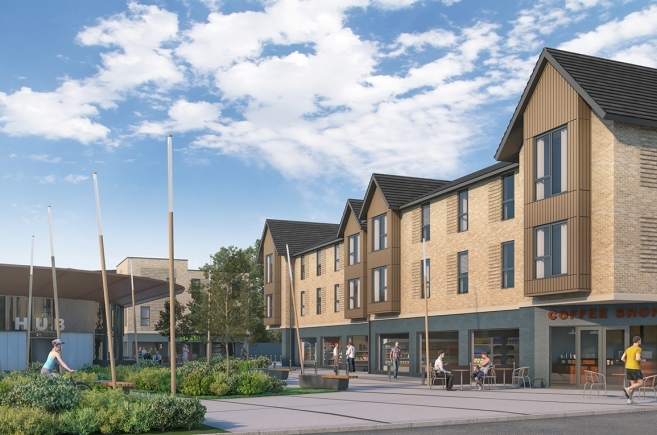 Planning permission has been granted for Crest Nicholson’s development in Southborough, Royal Tunbridge Wells for 69 new apartments and ground floor A1/A2/A3 retail units. 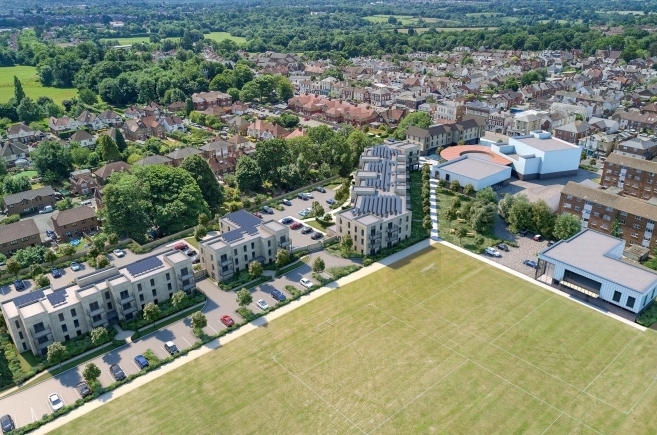 The four separate apartment blocks utilise their built form and distinctive contemporary architectural style to connect the site with the adjacent Southborough Community Hub building and London Road. 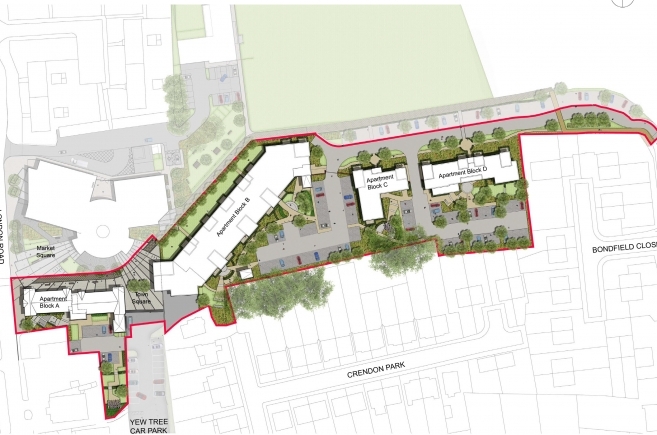 Onsite commercial / community uses allows easy access for new and existing residents, whilst excellent public transport and cycle route connection will also help reduce car dependency. The landscape design plays a key role within the development and delivers a welcoming and inclusive public area with private gardens that encourage a sustainable community. The public realm respects and enhances the existing urban context whilst defining spaces, delineating defensible space and designing an identifiable and attractive street scape. 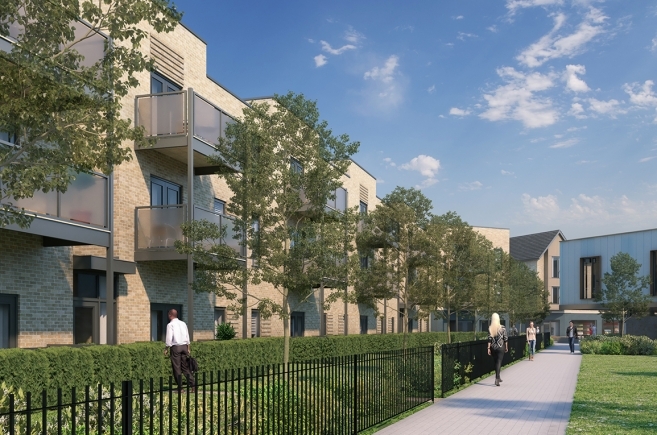 The development achieves the vision by creating an open, walkable environment with architecture and landscaping of the highest quality, to form a vibrant new destination and community hub for existing and future residents.